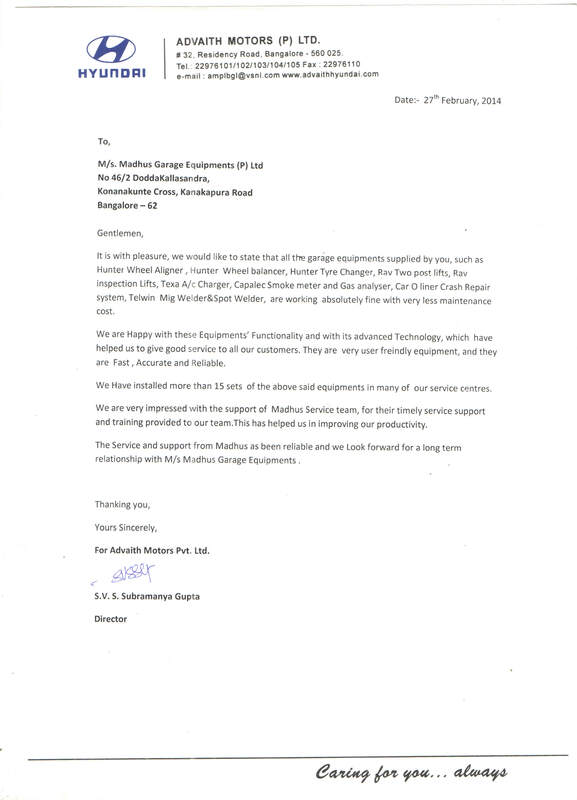 We are very happy with the equipment and the service from Madhus. 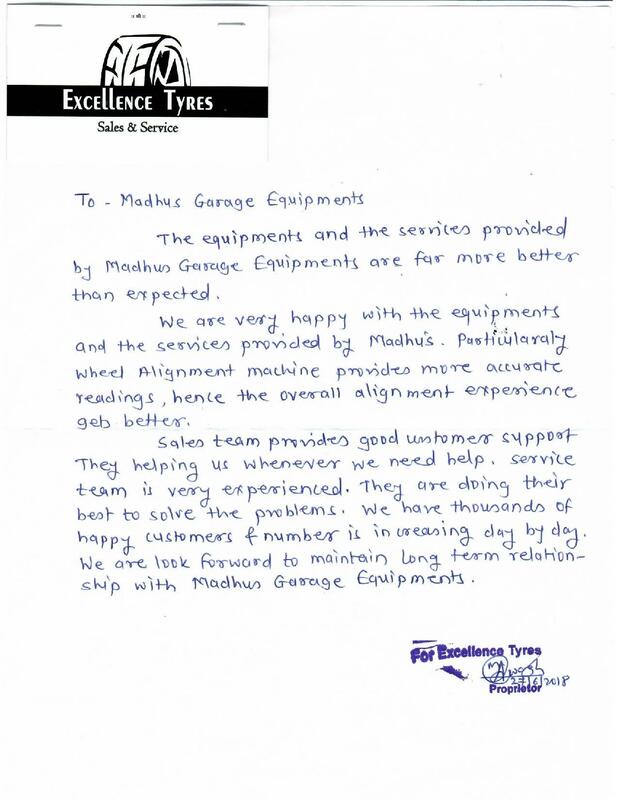 We are very happy with Madhus Equipment. 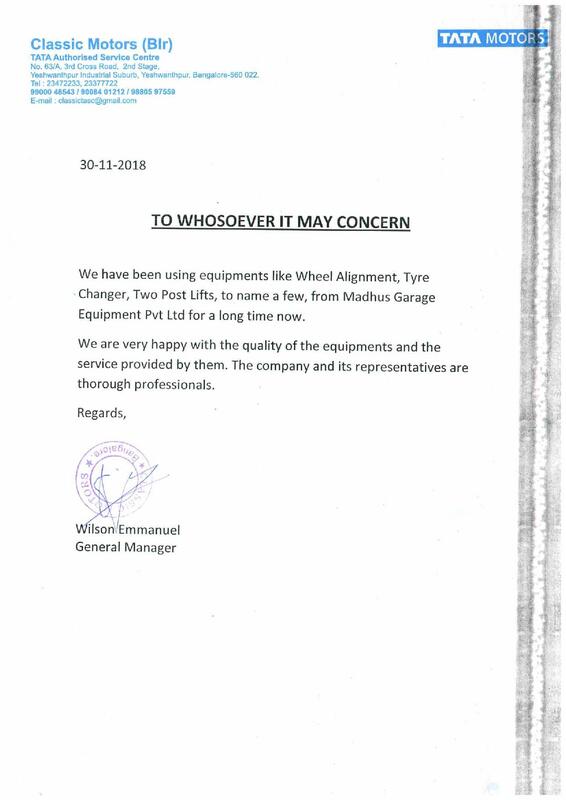 Very satisfied with Madhus Equipment. 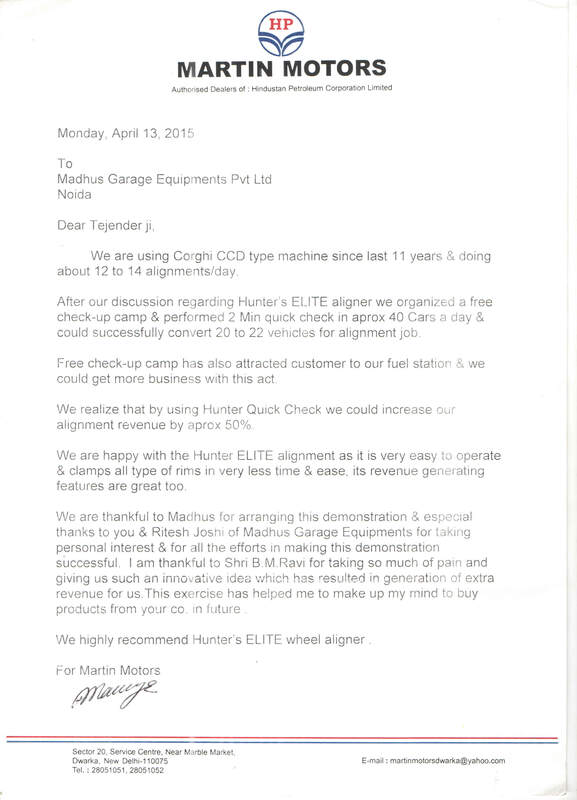 We have been using Hunter Aligners, Wheel Balancers, Two Post RAV Lift, Telwin Welding equipment supplied by Madhus from many years. 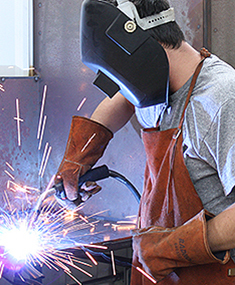 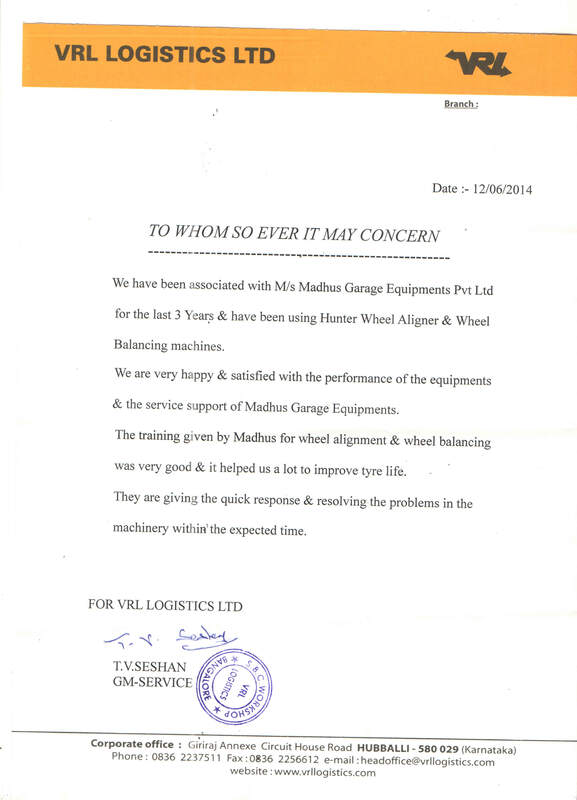 We are very happy with the equipment and service. 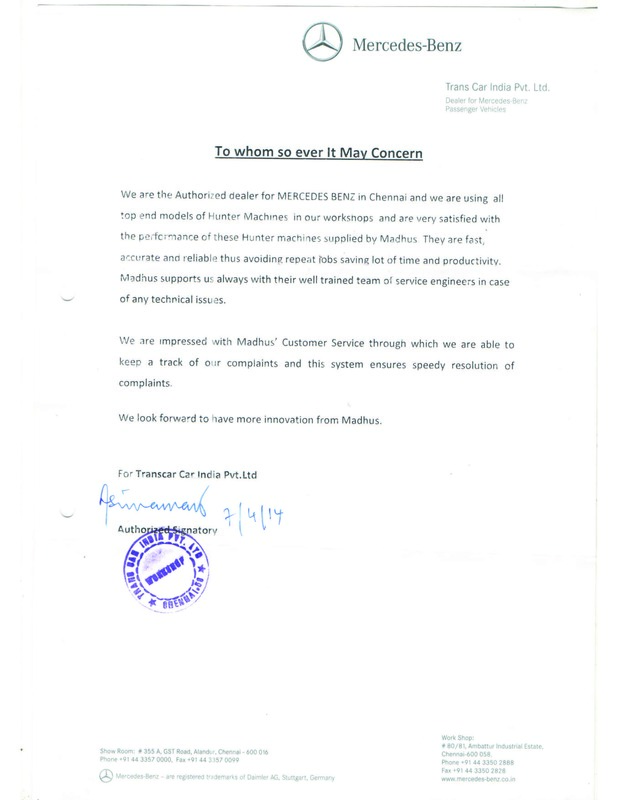 We are impressed with Madhus Customer Service through which we are able to keep a track of our complaints and this system ensures speedy resolution of complaints. 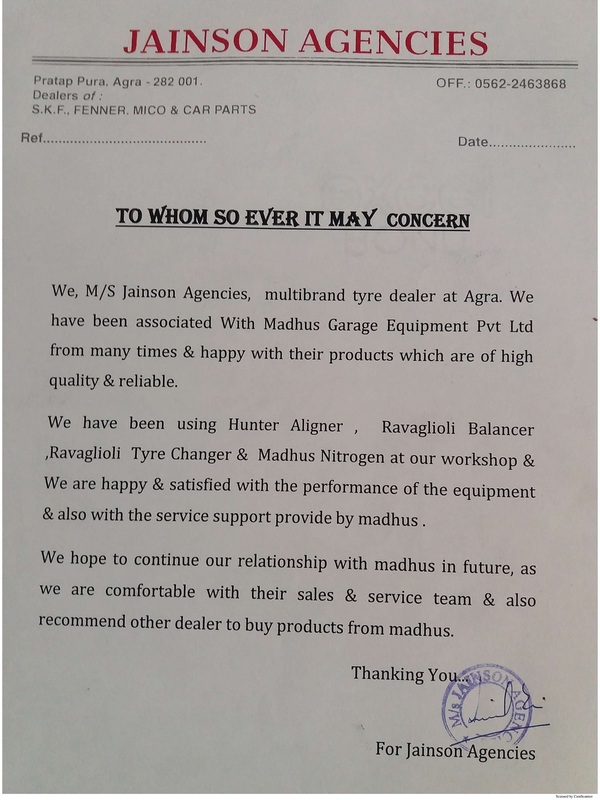 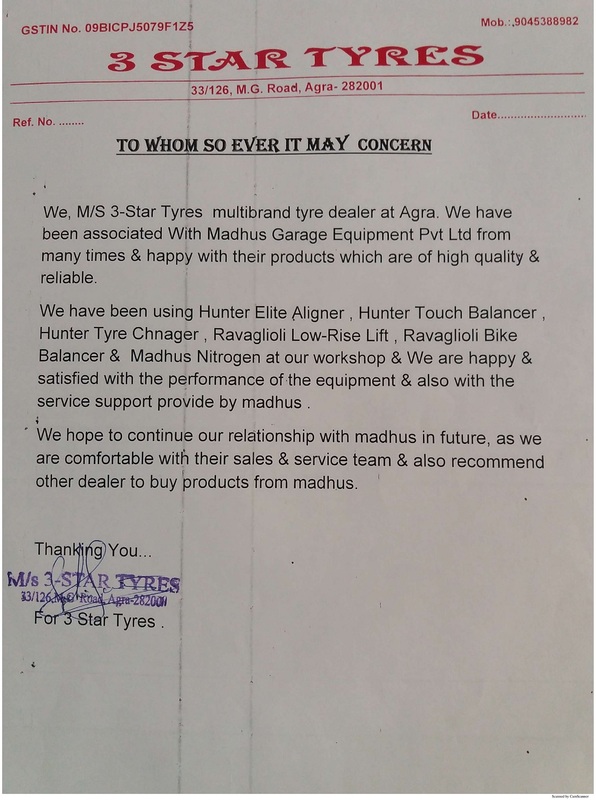 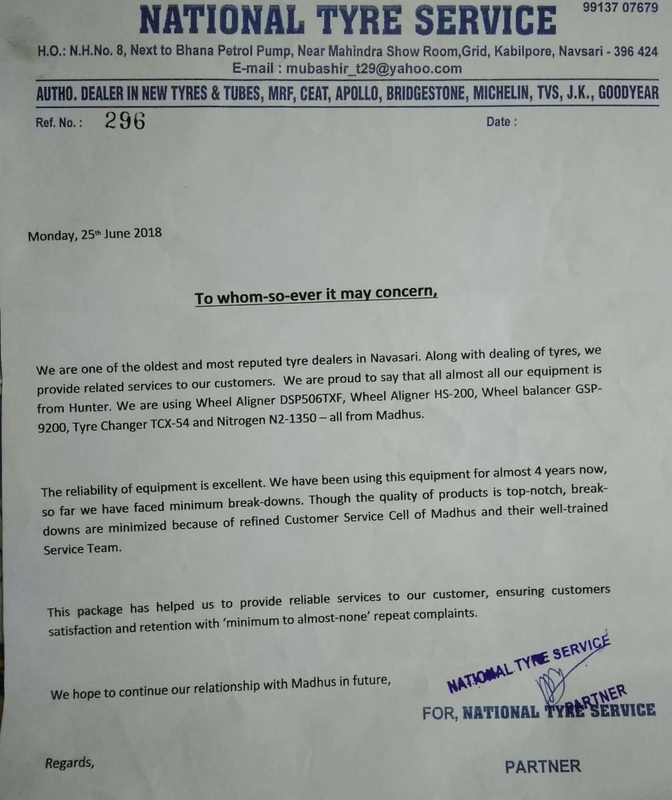 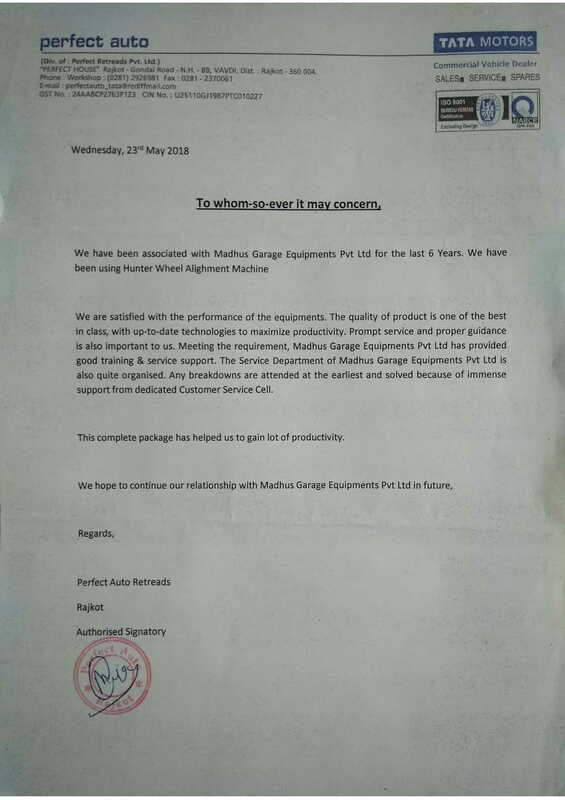 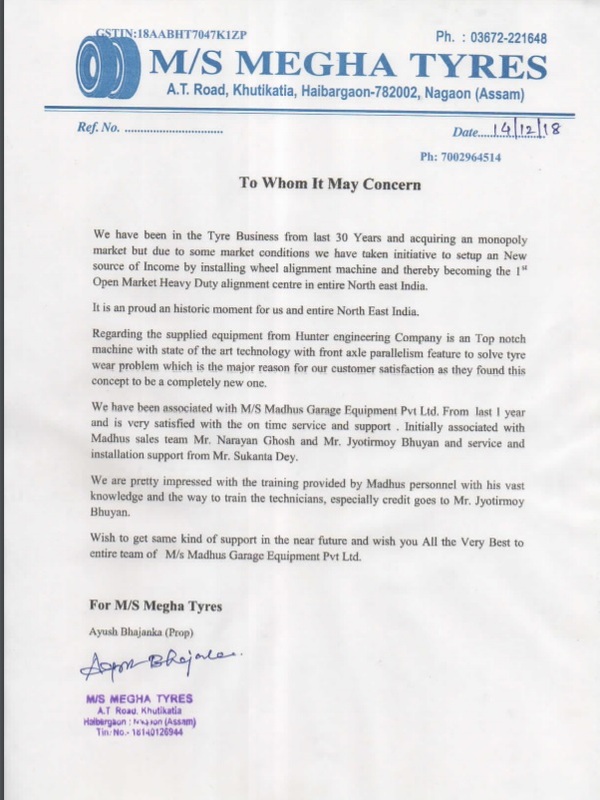 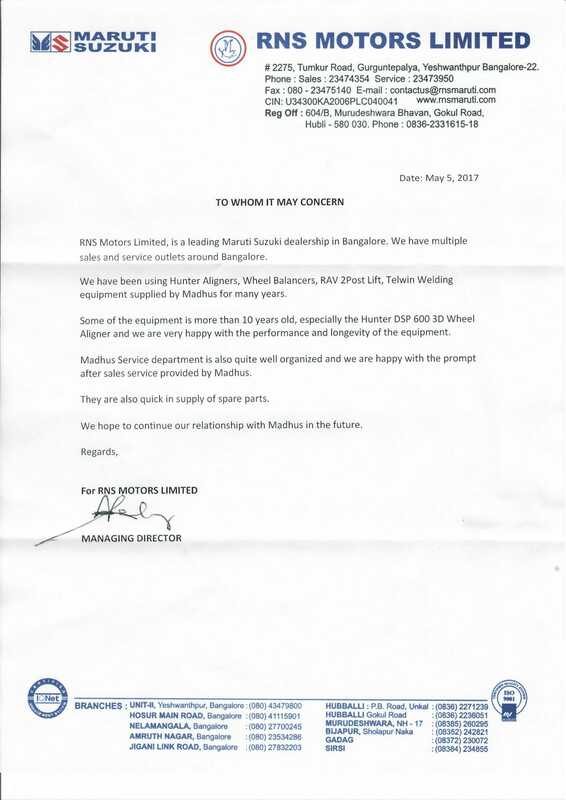 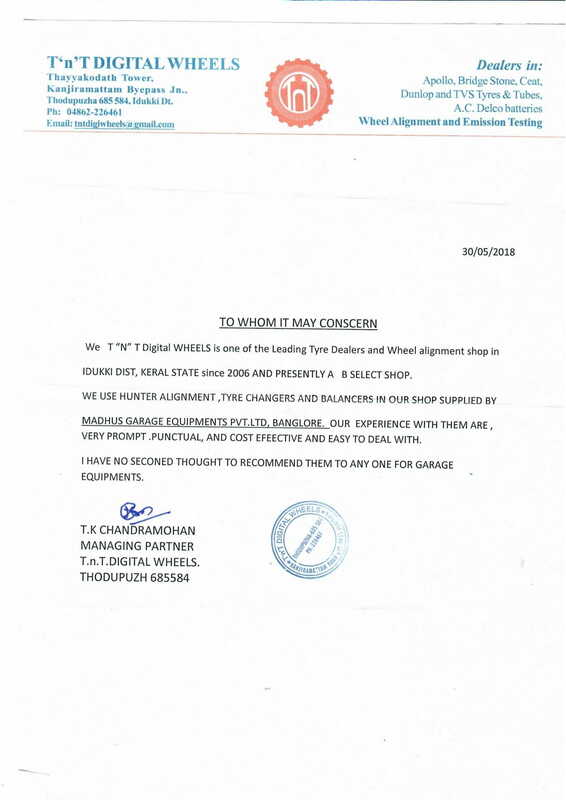 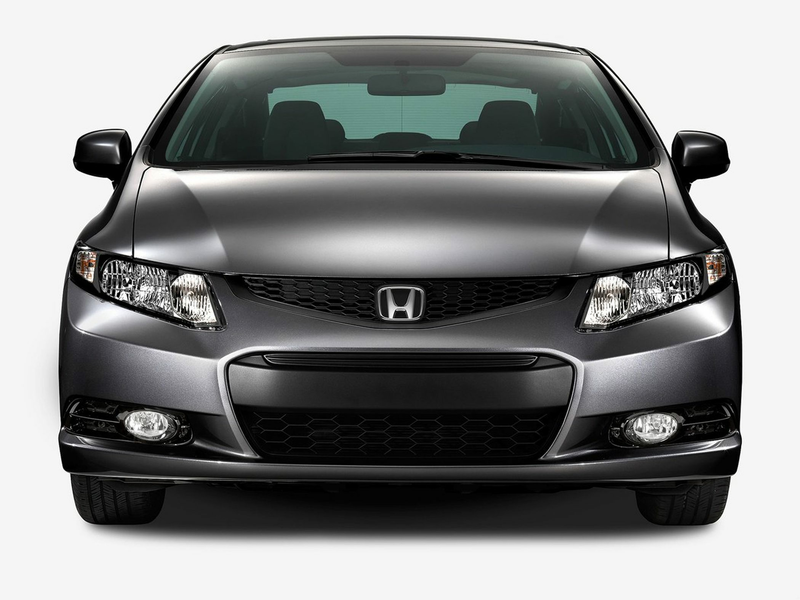 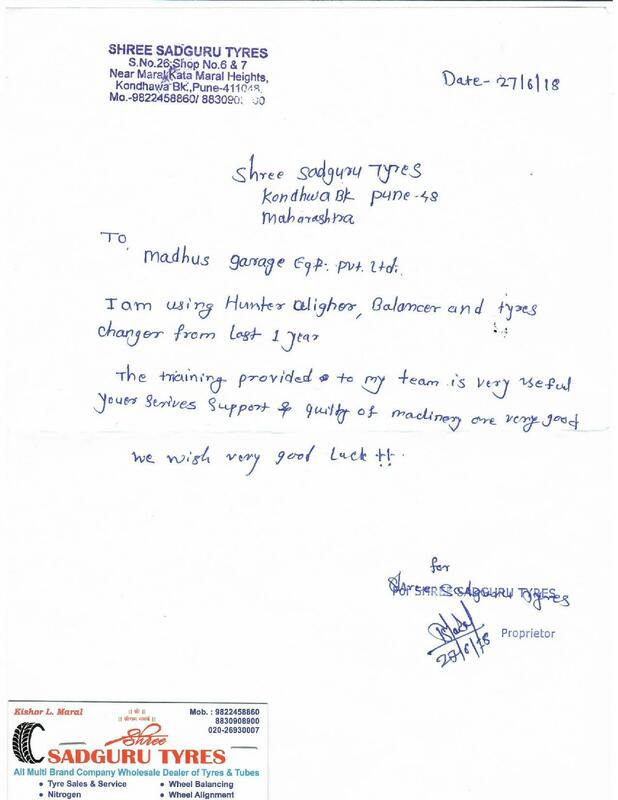 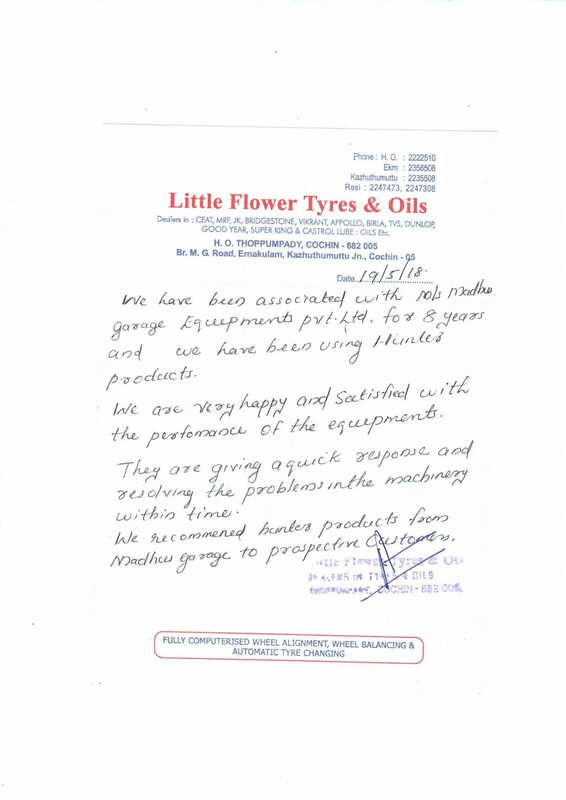 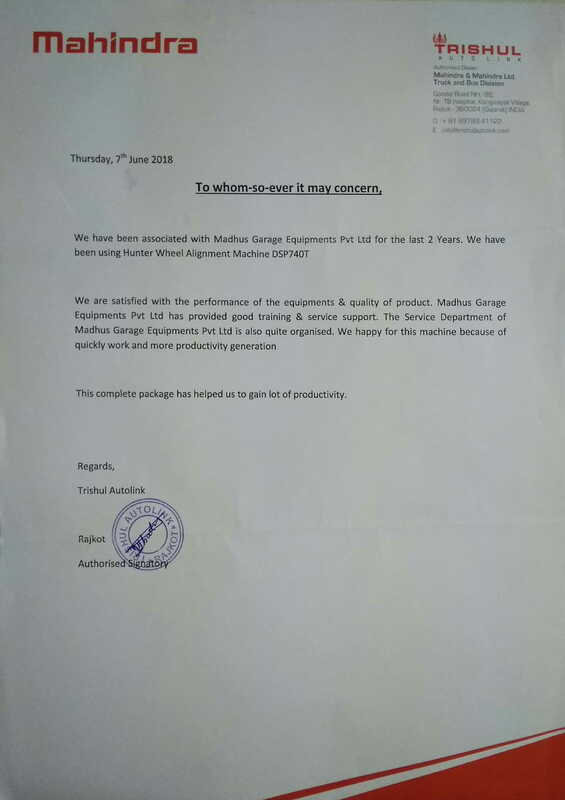 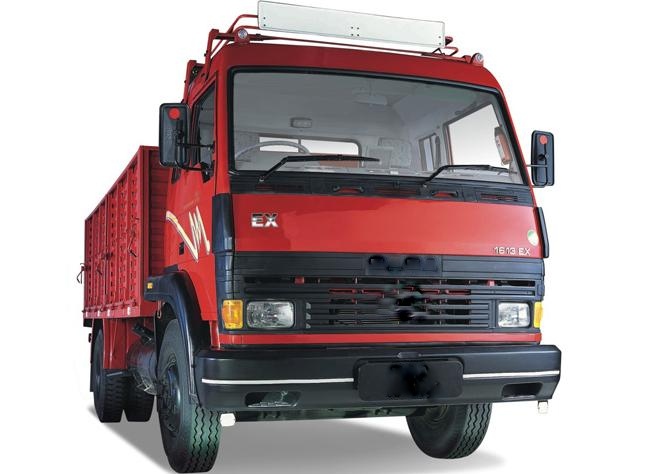 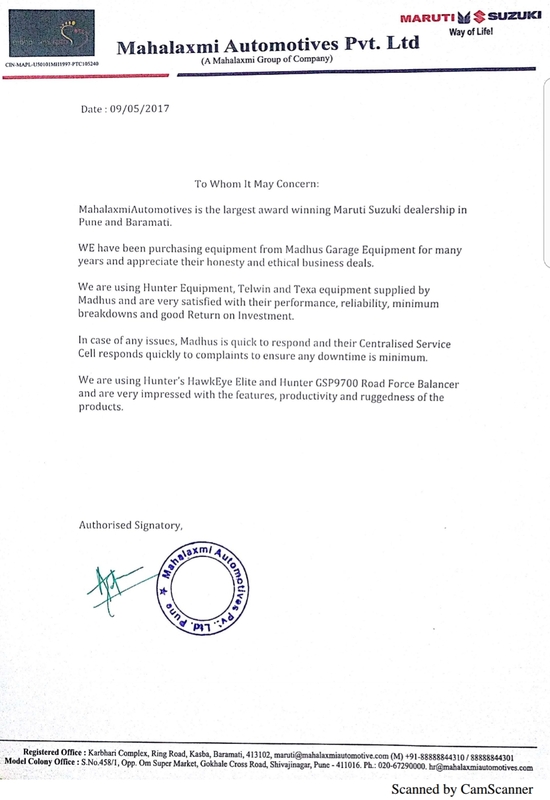 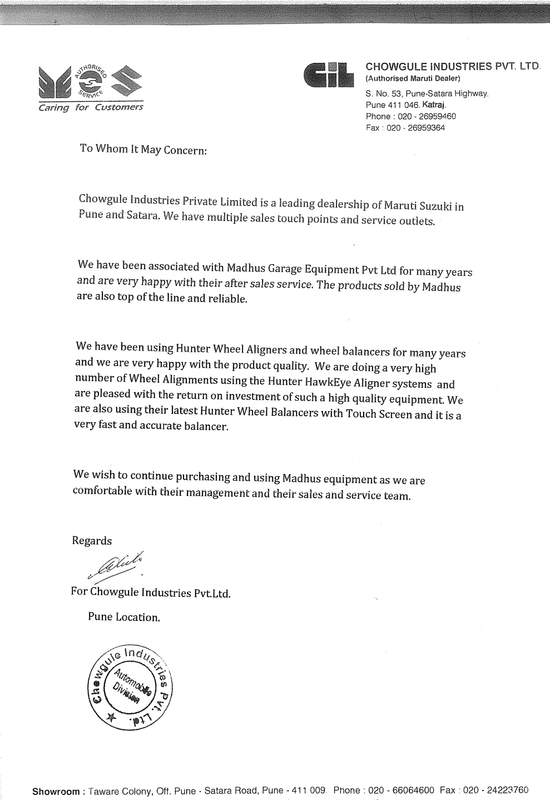 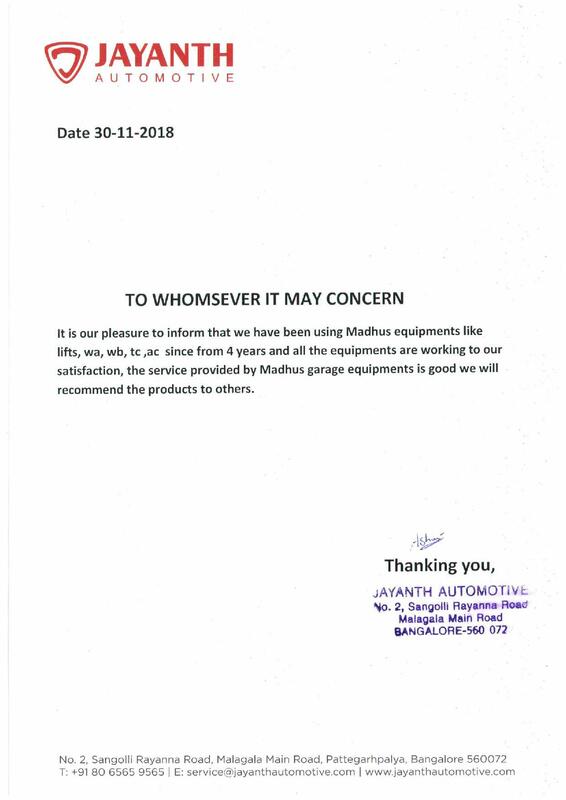 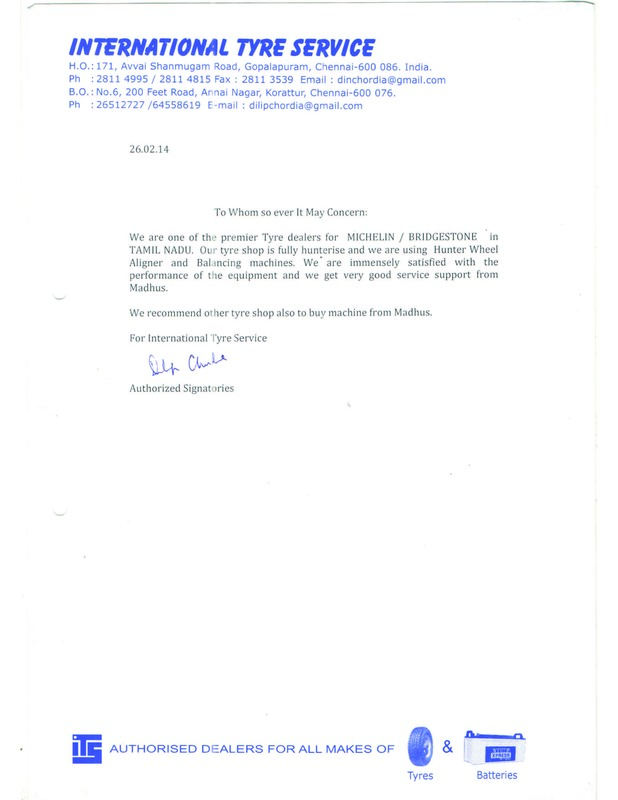 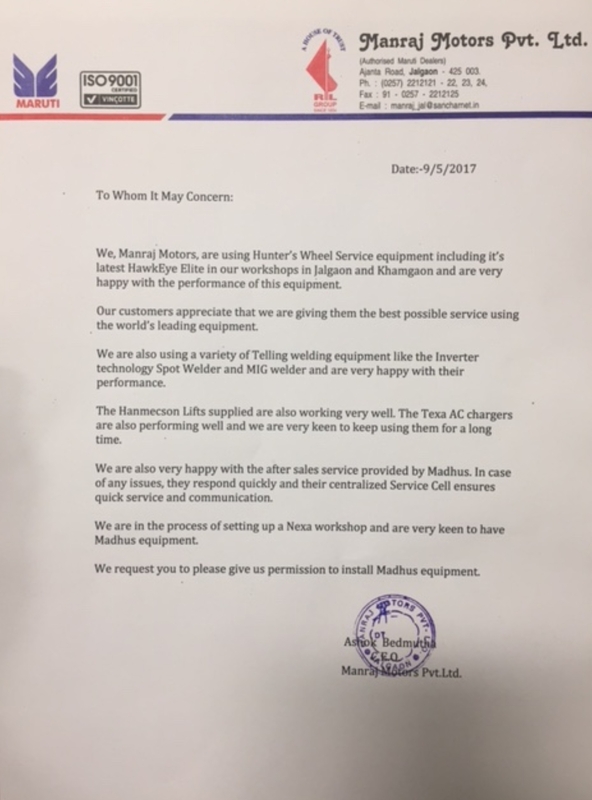 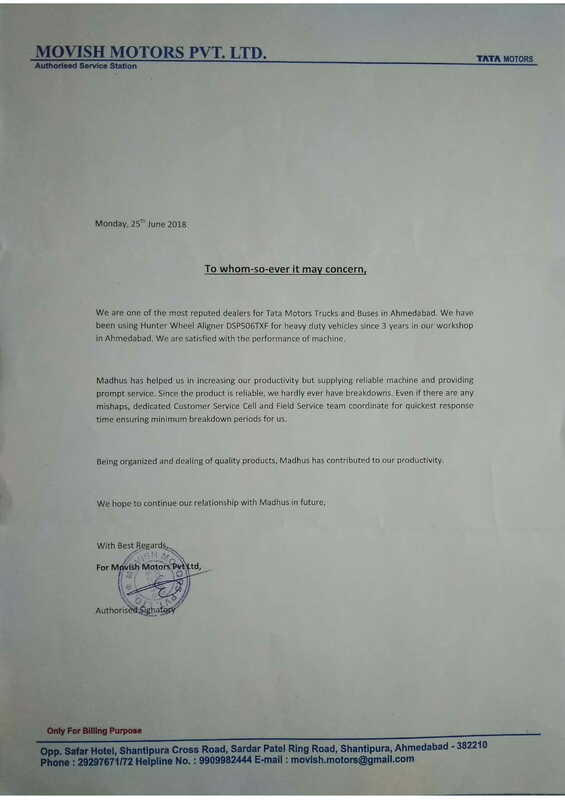 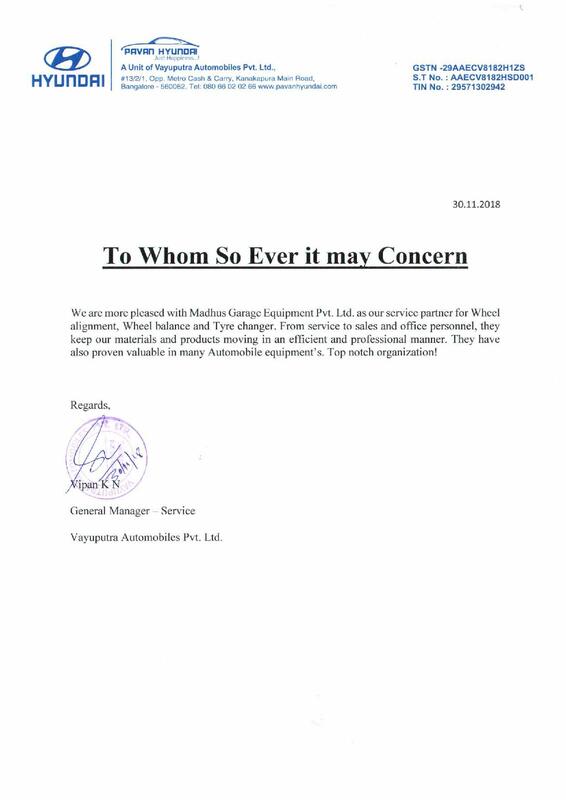 "We are immensely satisfied with the performance of the equipments and we get very good service support from Madhus"
"The Service and support from Madhus as been reliable and we look foward for a long term relationship with M/s Madhus Garage Equipments"